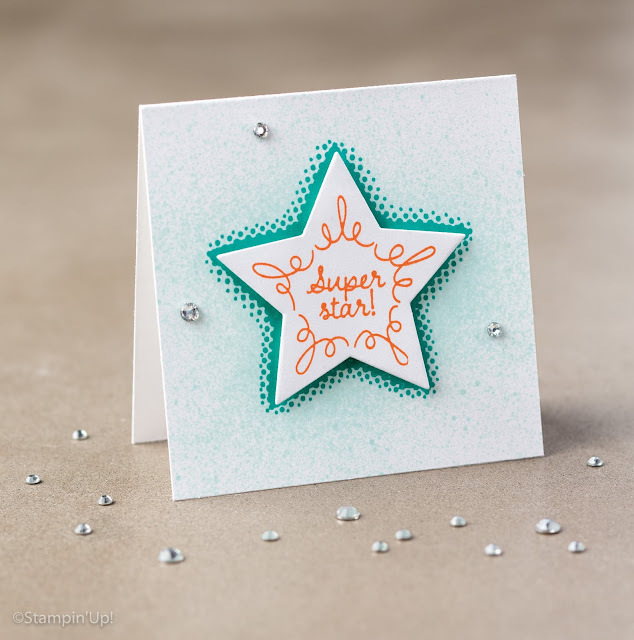 Today's project has been made from the Superstar Stamp Set - I love the way this has been layered with the stamping in the background and the cut out star on top. 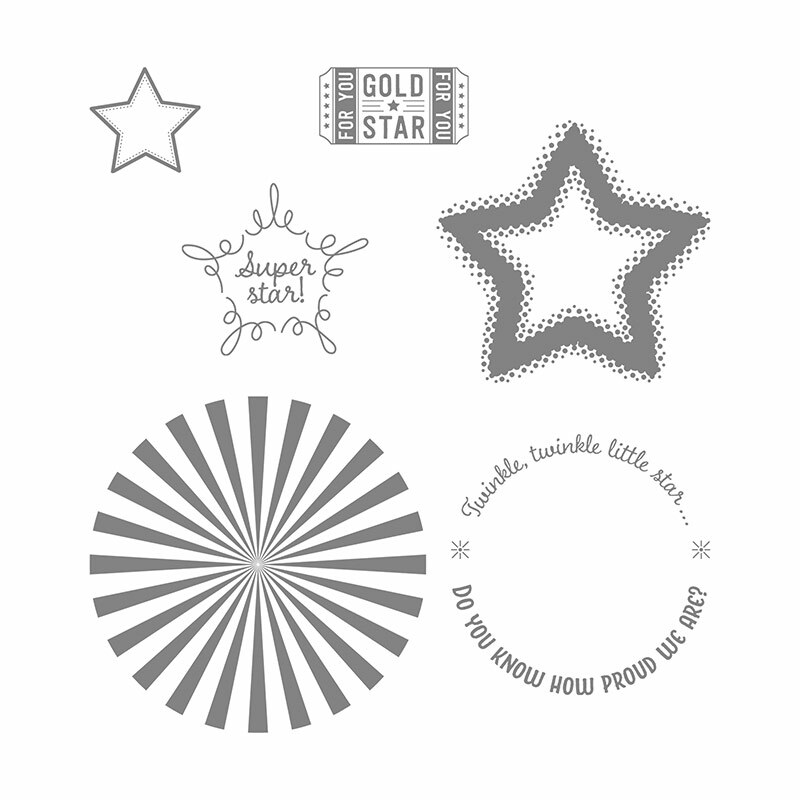 The Stars Framelits Dies go with this stamp set, as do the Layering Circles Dies and the Tags & Labels Framelits Dies. These are all cut by running through with the Big Shot which is also available from the Stampin' Up! store. You can view (or purchase) all these products by clicking on their names.